Working late this week so posting late. I felt like a photo to make me happy today. 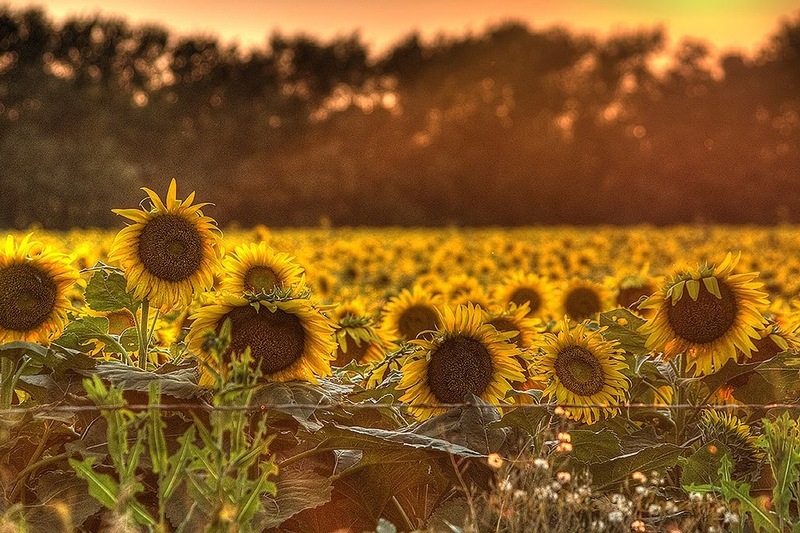 I love Sunflowers and a nice bright shot of them makes me smile. I took this photo a while back. I hope to find a field again to shoot but they are hard to find even though this is the Sunflower state. They are not as profitable crops as Soybeans or Corn. This field was south of where I live on Hwy 77 in Kansas.